Of all these musical aspects, which one you’re the best at? There are several aspects of any kind of music. I’m sure we can come up with many different ones. In fact, there are a couple of scientific/theoretic categories as well. But if you check out this Wayne Krantz interview (2:45), he names four main aspects a musician can be good at. He also says that every musician has a preferred aspect out of those four ones. Do you have one, too? I’m sure you do. Let’s look into them a bit now. So what are these four facets we need to know? Well, they are rhythm, melody, harmony and sound. Sound? Yeah, or you can call it tone, or timbre as well. Whichever suits your way of thinking the most. But we’ll call it sound now. Note that none of these aspects exist alone, in sort of a vacuum. 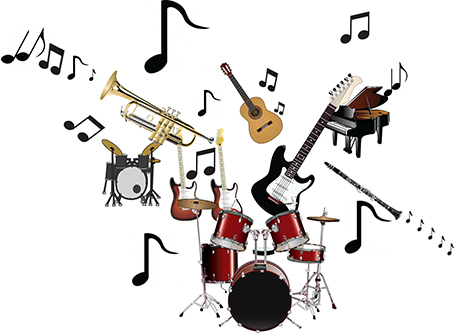 Rhythm: If you belong to this group, your playing has a strong rhythmical sense. Duh. It’s all about the groove. And the tension and release. The surprise element you can create with using rhythm to your advantage. Krantz says he realized that he’s a rhythm person. About half way through his career. So don’t worry folks, it’s never too late to figure it out. Who else are rhythm people? Mark King (bass; Level 42) or Mark Knopfler surely are. And a lot of the drummers and percussionists, too, just to state the obvious. Melody: We can say these are the lyrical guys. It’s perhaps the most linear out of the four aspects. Yet it can be multi-threaded as well. Think of Bach or the likes. People who belong in this group will put most of their efforts to create beauty with expressing unique melodic lines. I would say that musicians like Pat Metheny, Ornette Coleman or Paul McCartney are melody people. Harmony: If you hear the term “harmony”, you immediately think of chords. And you’re not wrong with that. Of course a person can be a harmony guy even on a monophonic instrument. In that case, it will be about arpeggios. It’s all about the expression of music with the interval relationship of notes. One of the most famous jazz guys, John Coltrane managed to be a harmony player. On a sax. Go figure. Piano players tend to fall in this group. Bruce Hornsby or McCoy Tyner do. Are you into chords or The Tone? Sound: Probably the trickiest one out of the four elements, right? Well, not so much. Not if you think about the control a musician can have over tonal, timbral qualities. The masters of sound are often instantly recognizable as well. But certainly they have this magical something about the sound itself. So much so that it’s almost doesn’t matter what actual notes they’re playing. Miles Davis, Stan Getz, Eddie Van Halen or Mike Campbell belong here. So, now you know all four of them. Which one is closest to your heart? Pick only a single aspect.